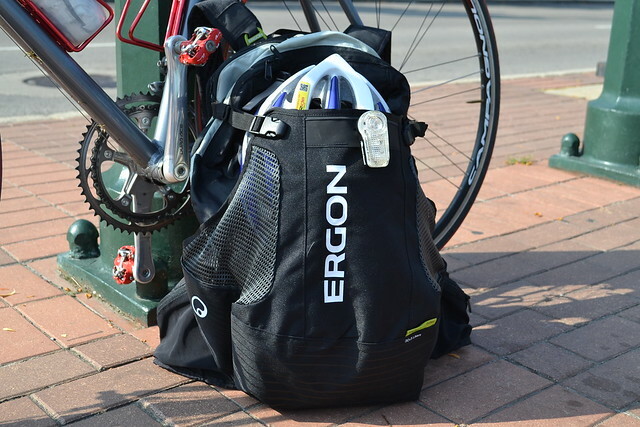 A couple months back, we posted our first impressions of the Ergon BD1-M Team Edition backpack. I’ve had a chance to ride with this pack for all the time since (about 300 miles worth) in all weather and carrying a wide variety of loads. As mentioned in the earlier article, the whole suspension system revolves (pun intended) around the novel “Flink”, or Flexible Link. Basically, this is a plastic half-sphere that allows the bag to move with the wearer, keeping the bag centered and floating without undue sway. 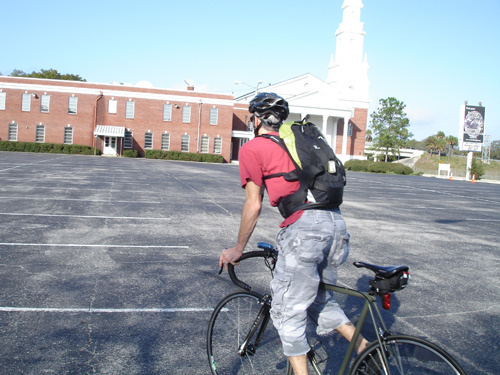 After riding with this bag for those 300 miles, I’d say that the Flink really works! And, as with other load-carrying backpacks, the hip belt is crucial for keeping the weight off a wearer’s shoulders. I subscribe to the Colin Fletcher method of adjustment. — From Colin Fletcher’s The Complete Walker III, originally published in 1968 and revised in 1984. This method is a little extreme for the Ergon pack, but let’s just say the tighter the hip belt, the easier the load is on your shoulders. If the hip belt is nice and tight, you absolutely WILL NOT notice any appreciable weight on your shoulders, and that is truly comfortable. 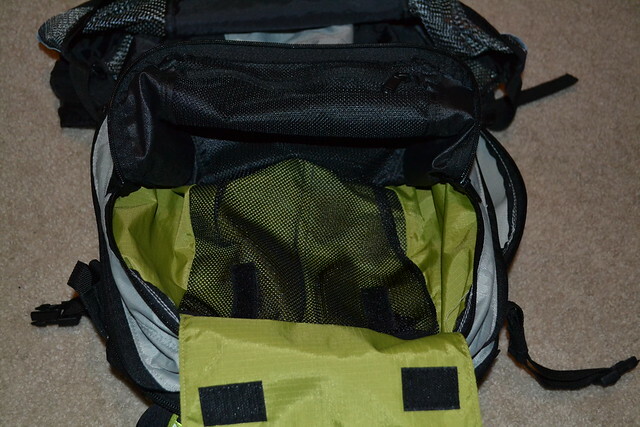 The tightness of the hipbelt, along with the sternum strap, the nicely-contoured shoulder straps and the Flink means this backpack stays right where it is supposed to with no wobbling or swaying. Towards the end of my “to work” commute, there is a nice downhill and then a sharp left turn into the edge of downtown Tampa. 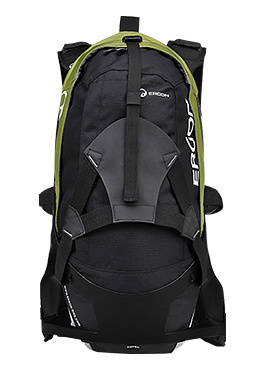 With this pack fully loaded, I can burn a high-speed turn at a very sharp cornering angle and the Ergon backpack would not shift an inch, even with a heavy load. Now THAT, I like! 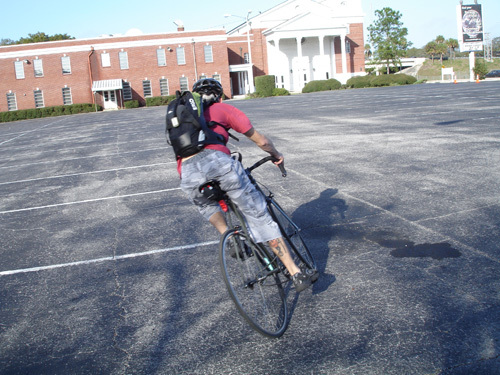 The same goes with out-of-the-saddle sprints. 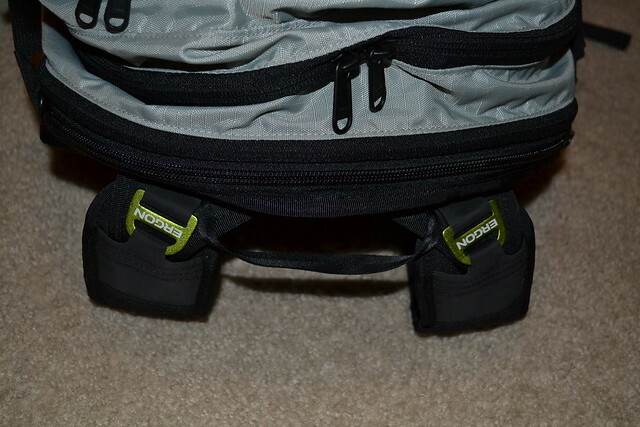 When I tried either of those with my old messenger bag, I would have to reach back and adjust the location of that bag as it swayed and slipped all over the place. Not so with the Ergon. 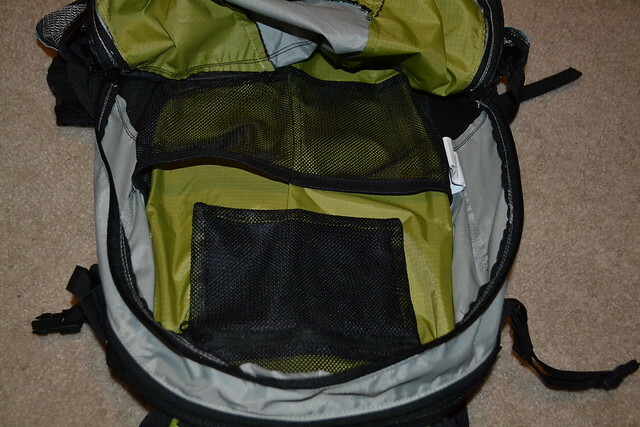 As I mentioned in the earlier article, this bag is packed with features. 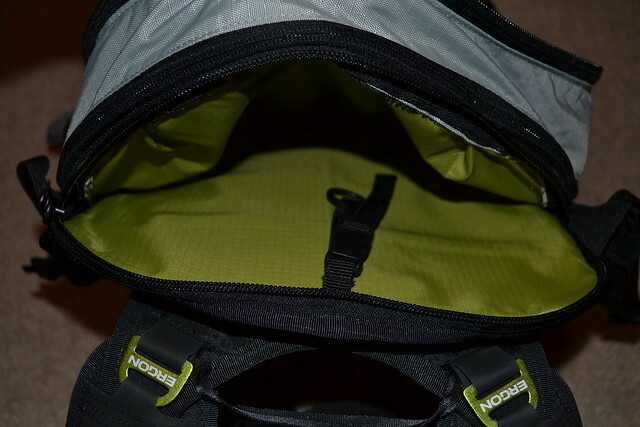 There is one external and one internal zippered pocket, another open internal pocket and a large, spandex-y pocket for a hydration bladder (to go with the hose-routing loops on both faces of the shoulder straps). 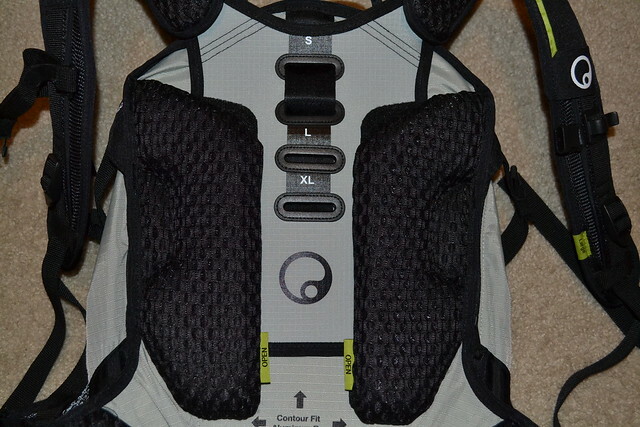 I emailed Ergon to ask their recommendation for an appropriate hydration bladder that would fit, as I had tried an older 70 oz. Camelbak bladder and it didn’t fit in the pocket so well. I never got a response from them, so I chalk it up to “lost in the mail” or perhaps less-than-stellar customer service. Oh well…that’s not a deal-breaker. 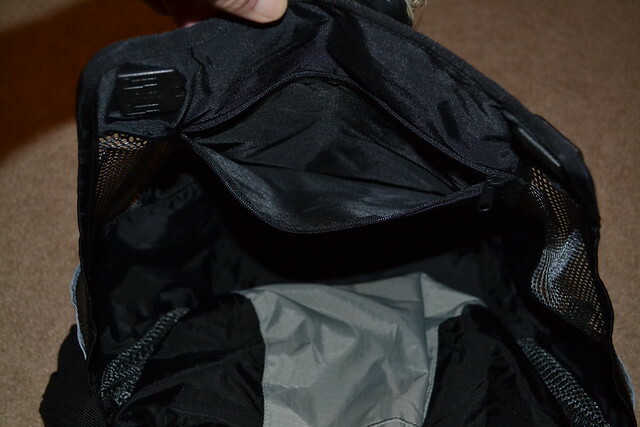 One serious drawback that kept coming back to me as I tested this bag is the capacity. It just isn’t big enough to rate as a truly serious commuting bag. 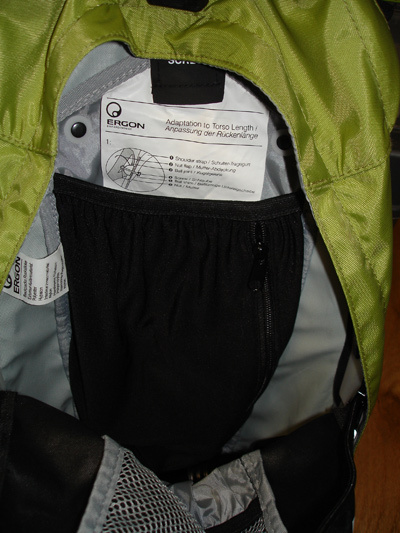 Granted, Ergon does not market this bag as such — it is designed for extended mountain bike expeditions where a rider might need to bring spare tubes and tools, a rain jacket or extra warmth layers and some snacks. Nevertheless, it is something to consider. If your daily commuting load is only a few items, this bag would be a dream. If you have to carry a laptop, nice clothes or different shoes, this might not be the bag for you. My typical load for this bag was my lunch, a sweater and a hardcover book or two in addition to my mini-pump and a couple small tools. That’s about all this bag will carry without cramming items inside. I got to test the built-in raincover a couple times, too. While the raincover doesn’t keep the bag totally dry, it does ward off the worst of the wetness. To be extra safe, it might pay to wrap sensitive items in plastic bags if you’re expecting to get caught in a downpour. Overall, for the bike commuter who can travel light, I give this bag a resounding “YES”. It’s comfortable as can be, it is strong, and most importantly it is stable with a load. But, if you have a lot to carry, you might consider another brand bag that can handle a bulky load. 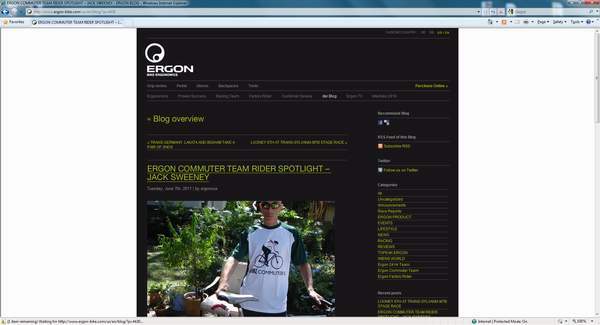 Check out Ergon’s complete line of bicycling products here. Read this review in Spanish at ciclistafanatico.com here. Check out these messenger bags and backpacks.